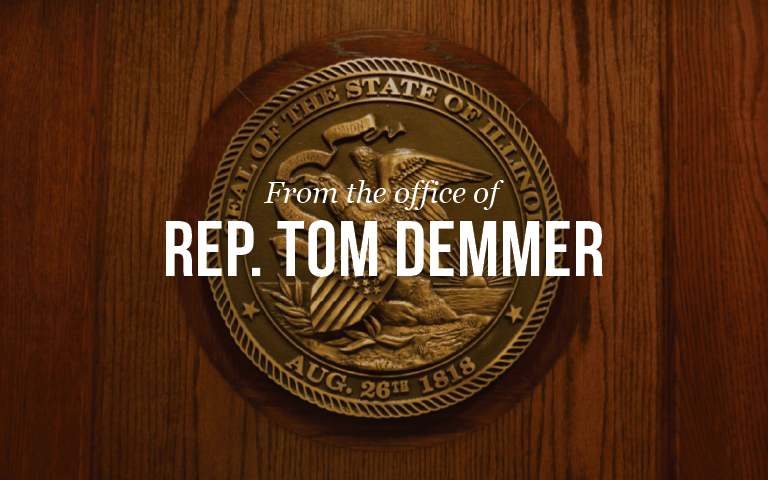 State Representative Tom Demmer (R-Dixon) introduced and passed House Resolution 486. The legislation commemorates the 100th anniversary of the Emil Bach House as an important landmark for Chicago and American art history. The Emil Bach House is a Prairie style house in the Rogers Park neighborhood of Chicago, Illinois that was designed by famous architect Frank Lloyd Wright. The house was built in 1915 for an admirer of Wright’s work, Emil Bach. Bach was co-owner of the Bach Brick Company. The house is representative of Wright’s late Prairie style and is an expression of his creativity from a period just before his work shifted stylistic focus. The Bach House was declared a Chicago Landmark on September 28, 1977, and was added to the U.S. National Register o.f Historic Places on January 23, 1979. Below is information for the 100th-anniversary open-house. You are invited to celebrate 100 years of Frank Lloyd Wright’s Emil Bach House. Join us for an afternoon of tours, refreshments, music (Bach, of course) and the unveiling of a silver commemorative Emil Bach House coin.